WOW! 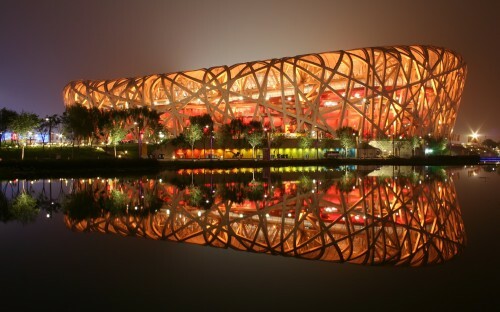 Super cheap flights to China: Beijing for only €197! UIA now offers super cheap flights to China! 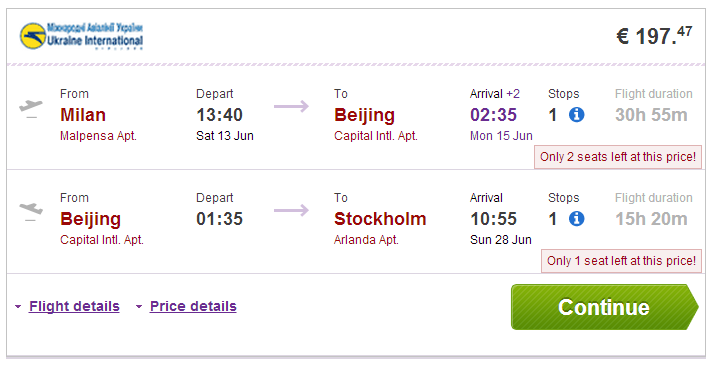 Multicity ticket Milan – Beijing – Stockholm will cost you only €197 instead of usual €600! Ryanair has cheapest fligths between Milan and Stockholm for approx €35 but they are from smaller airports so you would have to change the airports. For better connections check AirBaltic (flights around €60) or SAS (~€90). « Celebrate New Year in Canary Islands: Gran Canaria from Germany for €58!